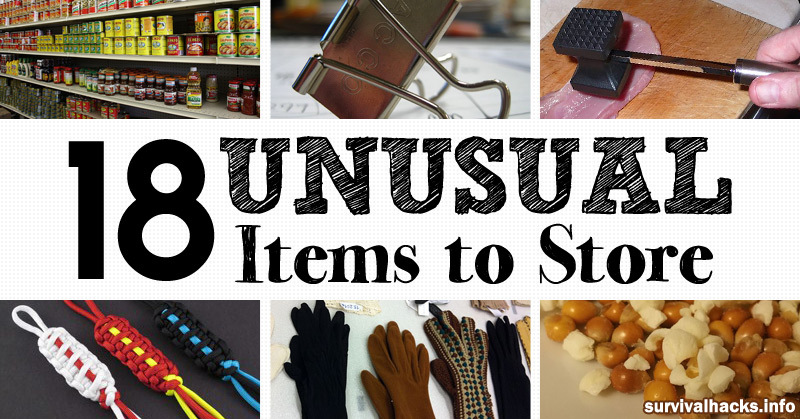 This is a great list of cool and unusual things for your stockpile that can be very useful during survival or emergency situations. a. Place a handful of perlite chunks into the Altoids tin. b. Cut the metal window screen with a size similar to the Altoids tin. c. Put the window screen on top of the perlite and tuck its corners into the tin. Whenever you need the stove, just add 3 tbsps. of denatured alcohol to the perlite then light it up using a match. 2. Meat tenderizer. 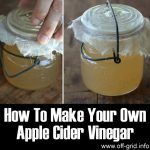 Mix it with water to form a paste and apply it to insect bites and stings. Leave it for 10-15 minutes and rinse it off. You can also add some vinegar to the paste and this will be magical. 3. Activated charcoal. This works great to treat poisoning for it traps chemicals and toxins in your stomach. It also used for water filtration, relieves gas and bloating and can be made into a paste to put on insect bites and stings to draw out poisons. 4. Binder clips. These can be used to hold all kinds of things together. You can also use them as a stabilizer, hanger, holder, and etc. 5. Small tin of Vicks VapoRub. You can apply this under your nose to mask unpleasant odors. Apart from its medicinal purposes, it also helps in starting a fire if mixed with tinder. 6. Dried Fruit. Mold will not grow readily on dried fruit. It is one of the best foods to stock up for survival since it contains essential nutrients, keeps for a long time and is easy to store and transport. 7. Sillcock keys/4 ways keys. This is a must have in your survival kit. This tool will help you get access to restricted water, in genuine emergency situations. 8. Knee-high pantyhose. This will prevent you from getting blisters and insect bites. 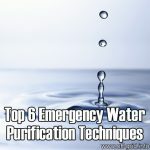 You can also use this to filter water or store small items. And it will help you stay warm when it’s cold. 9. Cash. This is an essential thing to have especially when you need to buy something and there is no power in your area, stores won’t be able to run your credit/debit cards. Your cash will surely help you during these circumstances. 10. Katadyn Pocket Water Microfilter these amazing portable water filters get rave reviews and can remove an amazing array of impurities from water. One of these could truly be the difference between life and death. the filter’s silver-impregnated ceramic element is effective against bacteria and protozoa, filtering all microorganisms larger than 0.2 microns to produce clear, drinkable water. This is a big investment but when compared to the price of your life you realize that this is one of the best survival items out there. 11. Gloves. All kinds of gloves are essential. 12. Hair ponies/bobby pins. Hair ponies are not only for the hair. They can also help you in survival situations. They can tie and keep things together. Bobby pins are very useful when you need to pick a lock. And you can also create a fish hook from bobby pins. 13. Thieves essential oil. This works well in keeping you and your kids away from germs and bacteria. 14. Ultimate Paracord Bracelet. Paracord has a lot of survival benefits – securing items, building shelters, backup strategy for trapping, starting a fire, the list goes on and on. 15. Soda cans. 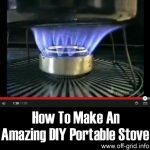 You can improvise a portable stove, a candle lamp hanger, a fish hook, a soda can torch and more. See full list of soda can survival hacks. 16. Floss. Use the floss to make a rope, cut food, mend your damaged clothing, hang up stuff, etc. Don’t forget – you will need a good quality bug-out bag. For good information regarding the best bug out bags, check out https://bestsurvival.org/best-bug-out-bags/.